Journalist Óscar Martínez is no stranger to putting himself in danger in order to uncover the corrupt practices in El Salvador. The author of The Beast and of the upcoming book A History of Violence, Martínez doesn't hesitate to uncover a story in the violent zones of Central America. Yet, he and his colleagues had to flee the country, following death threats feared to have come from drug gangs and the police alike, on the heels of an exposé they had published. In a Nation article, John Washington—co-translator of The Beast and Martínez's friend—contextualises Martínez's work in a region where the murder of journalists has been on the rise at an alarming rate. As Director of Sala Negra—a project focused on exposing the systemic problems behind the violence in Central America—Martínez has constantly faced hostility from the authorities; last year, the police forced him to take his shirt off and pointed a gun at him at a checkpoint. 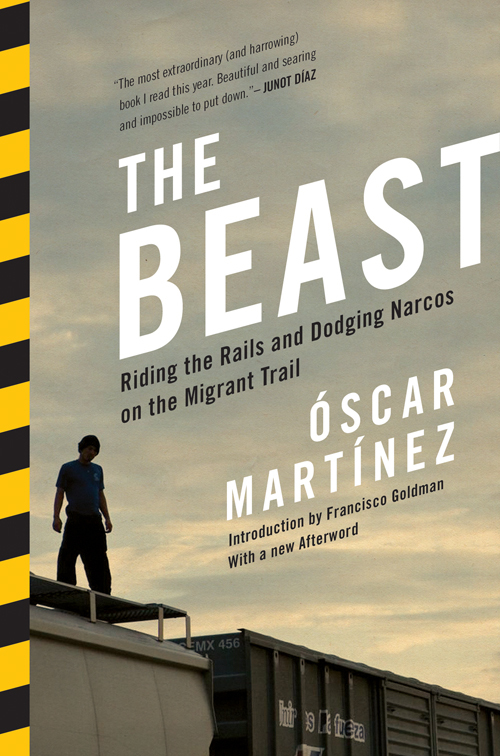 As Óscar practices the sort of immersion journalism that puts him on the top of hurtling cargo trains, in rural towns run by corrupt narco-mayors, and in seedy brothels where women are trafficked, it would be hard for a friend or family member (he has a wife and a young daughter) not to be scared for his safety. Óscar is certainly no stranger to stirring up controversy: This May, he uncovered the intricacies of extortion that pervade central San Salvador, in which, 'five cliques of the Mara Salvatrucha gang and a sector of the Revolutionary wing of the Barrio 18 gang run the Centro' of El Salvador’s capital city. Once, when at a police station trying to get the sources for his story released, Martínez witnessed unhesitating, chilling display of police brutality. The officers, he (Martinez) explained to me, showed no compunction in punching and kicking the men in full view of the waiting room where he was sitting. The death threats that Martínez and his colleagues received carried the force of this brutality. The story that led to them receiving the below threats exposed that a shoot-out by the police was in fact cold-blooded murder. 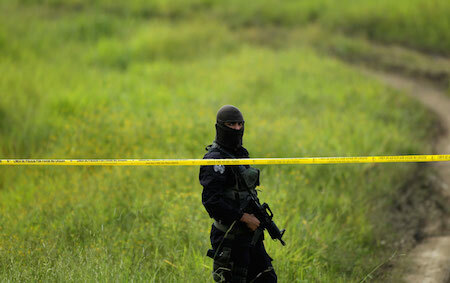 Despite the danger to their own lives, Martínez and his colleagues do not view the threats as isolated incidents but as part of the general violence and social breakdown in El Salvador. Showcasing this outrageously brave commitment to exposing the truth in El Salvador, the three journalists are back in the country to continue their work. Martínez has been thinking of buying a gun, not to protect himself but to invite a less painful death. To read John Washington's piece from The Nation in full, click here. 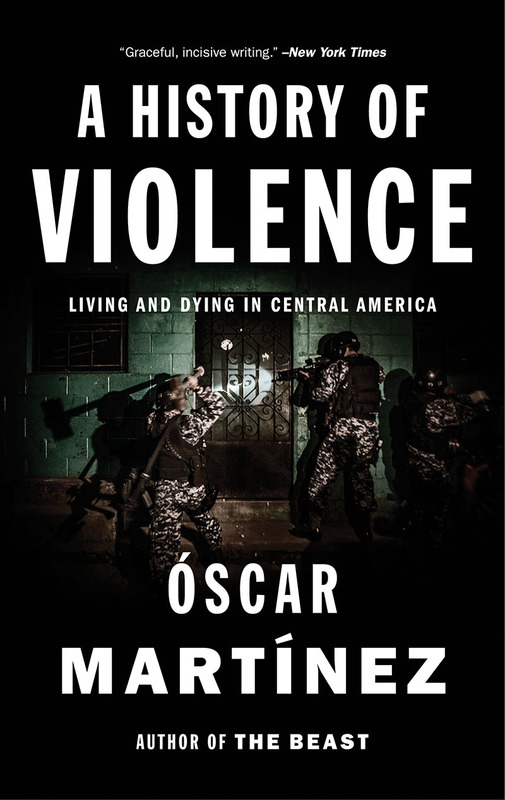 A History of Violence: Living and Dying in Central America, Óscar Martínez’s follow-up to The Beast, comes out in March 2016. For more on Martínez, click here.